We proudly present the 6.5 inch hoverboard electric scooter from Australia Hoverboards. The smaller wheels ensure that it is the perfect ride for young kids who can take it out on the streets for a joyride. Available in peppy colors like gold, blue, black, white, red, and silver chrome, there is one for everybody. The 6.5 inch hoverboard is powered by lithium-ion batteries and is safe. 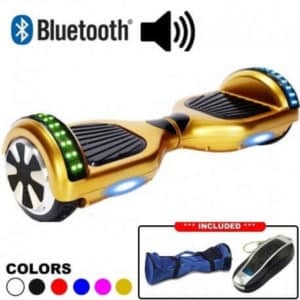 The fast chipset on board ensures that your every command is rapidly relayed and that the hoverboard responds with alacrity to instructions like moving forward, turning and reversing. 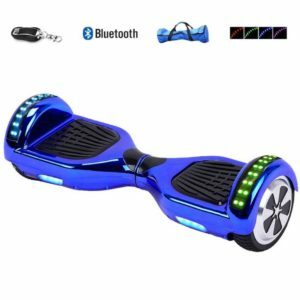 The 6.5 inch hoverboard, once charged for 2-3 hours can be your trusted travel companion for up to 20 kilometers. The ability to go this far on a single charge means that you can use it for exploring the neighborhood or take it for a spin on the asphalt. 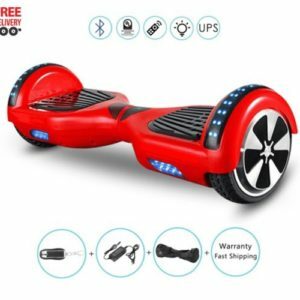 This 6.5 inch hoverboards come along with free carry bags. After the ride, you can pack the hoverboard safely in its carry bag. Be the cynosure of all eyes with these smart and sophisticated wheels! Our smart hoverboard gives a speed alert once you cross the recommended 12kmph mark, thus ensuring for your safety. The 6.5-inch hoverboard is quite a jolly ride as it is a preferred travel companion for young kids and those under 100 kg of weight. Bring home the 6. Inch hoverboard today and watch it turn into the vehicle of choice for the young ones. 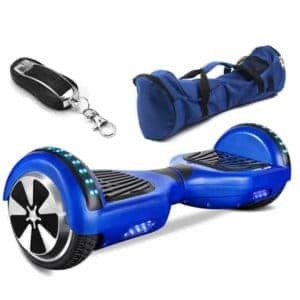 Once you order the hoverboard, we ensure that it reaches your doorstep within 3 business days. There’s nothing close to the 6.5 inch hoverboard when it comes to making a style statement.